Rias Designs ARE YOU A VENDOR? 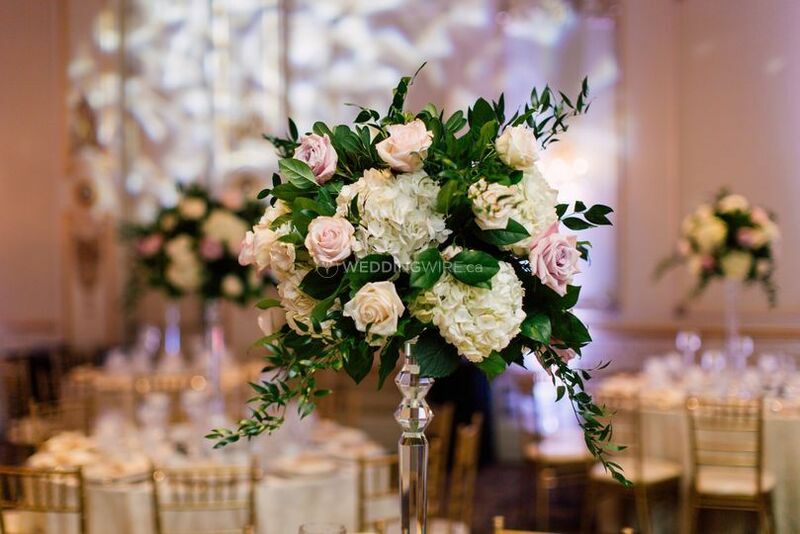 Rias Designs aims to offer beautiful wedding design services with a fresh, creative approach. 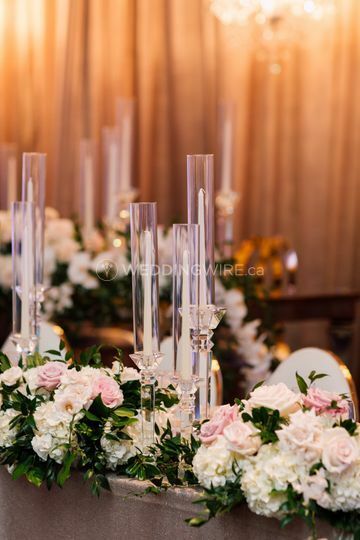 The family-owned business, located in North York, acts as a personal stylist for your wedding's decor, floral, and other details. 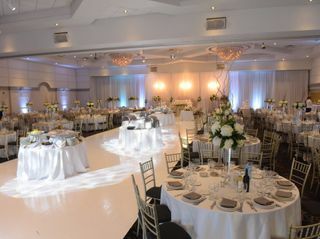 It is also available to help coordinate and organize everything else at your wedding. 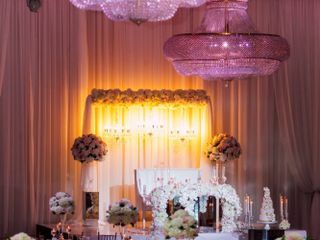 With a love of decor and floral design, creative director Hooria Nekzai and her team of designers operate Rias Designs. Delivery, production, and organization are handled by operations manager Baktage Nekzai, who has a degree in business management and many years of experience working in hospitality and event production. 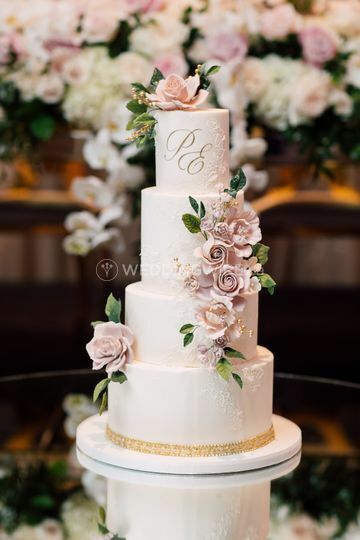 The business has been featured on WedLuxe and Elegant Wedding. My husband and I had a vision for our wedding that was unusual and would require a lot of effort and participation for it to come to life. 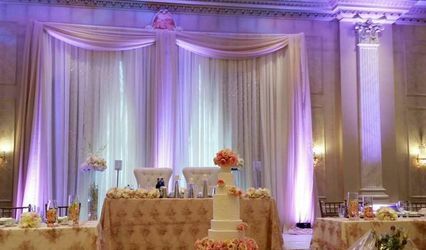 Going through several meetings with different planners, after our first consultation with Hooria there was no doubt in our minds that we had found the best wedding planner in Toronto. 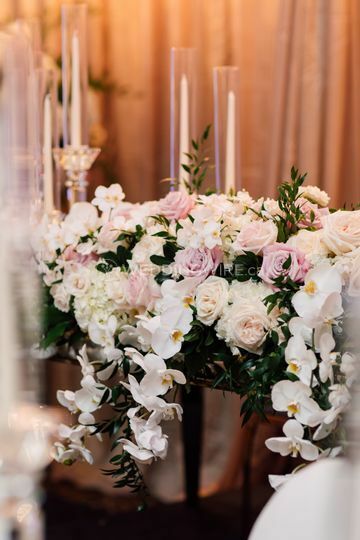 It wasn’t only how organized she was and years of experience in the event planning she had, it was the time,the interest, the versatility, her professionalism and the close attention to detail which stood out to us most. She made us feel important and like we were family even though we had just met. From then on it only got better. This was by far the best investment of our wedding. Working with our budget Hooria shared tons of tricks and idea’s to help us save and get the best for our special day. Not to mention always being patient, understanding and keeping our minds at ease during stressful times. She introduced us to amazing vendors, organized visits, attended vendor meetings and above all ran everything perfectly on the day of. When it came to decor it was OUT OF THIS WORLD! and SECOND TO NONE!! 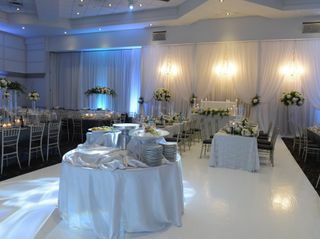 Our venue looked like something you would only see done for someone Royal and that’s exactly how we felt after seeing our venue decor for the first look. 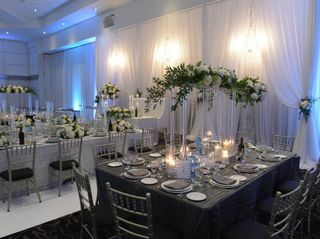 From the fresh flowers with unique colours, to the over the top head table and centrepieces, It truly was jaw dropping beautiful and one that will definitely not be forgotten. There aren’t enough words to completely express our appreciation to Hooria, Vanessa and Mary. We are still in awe when we look back on everything you did for us before, during and after the wedding. I still can’t get over the fact that my after dress was left at home (in Brampton) and Hooria and her team were able to keep me calm and get it to me (downtown Toronto)ASAP. 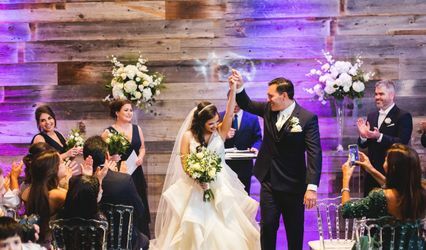 Without your help our wedding would not have been the picture-perfect event we’ve always dreamed of. Thank you so much! We appreciate you more than words can say and Huge thanks for your beautiful surprise at the venue. 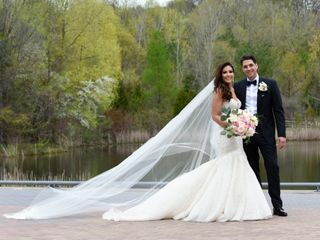 We had so many guest later tell us that our wedding was the most beautiful and organized wedding they have ever attended (some where calling it “The Real Royal Wedding”) Those comments really summed up what a wonderful job you did for us. Hooria is the best wedding planner ever and we highly recommend her to any couple who needs someone that will understand their vision and work tirelessly to make that vision reality. Ria is beyond exceptional. From the moment I met Ria, I knew right there and then she was going to do a spectacular job. Let me just say, I am so blessed to have come across Ria, as she went beyond and above my imagination. Ria did my bridal shower decor in Tiffany style. 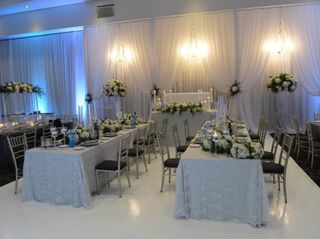 From the flower arrangements, cake/sweet table and room setups.....it was gorgeous!!! 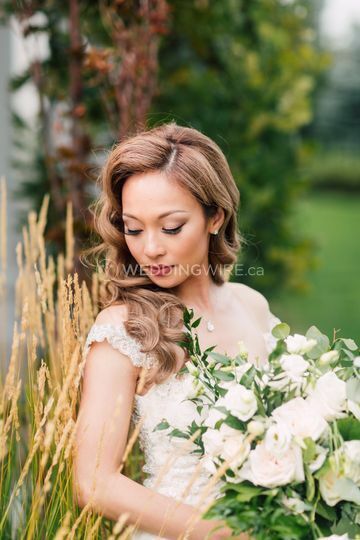 My guests, including myself, were soooo amazed, we couldn't wait to see what Ria had in store for my wedding day. All I can say is OMGGGG......WOW!!!!!! I cannot believe till this day THAT WAS MY WEDDING!!! As I replay in my head from what I saw on my special DAY, from my ceremony to the lobby to the reception... I am still in amaze and will forever feel that when I look back on my big day. 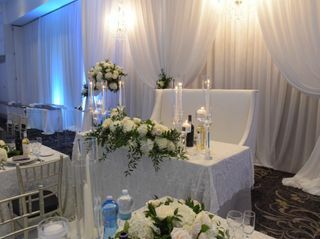 Ria did a soft classy romantic and very elegant decor. 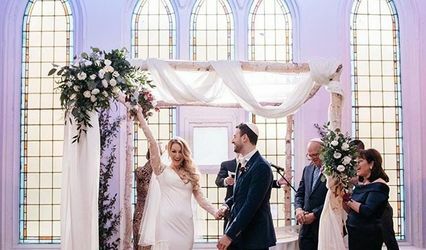 From her ravishing flower arrangement on candelabras, to candles to set that romantic feel, to the head table in a round gazebo style with a chandelier in the middle and the list goes one. Myself, My family, my guests, my groom (now my husband... Lol) all raves about how beautiful the decor was. All of our jaws literately dropped. Not only is Ria an amazing, understanding, and a very caring person.... She is very very passionate in what she does and she essentially makes dreams come true. That is what she did for me, as my wedding was beyond what I had envisioned it to be. She took the time to listen to my thoughts and answered all my questions, and put my mind at ease when I wasn't sure what to do. I had put my full trust in her... she gave me glam and beyond what I never expected. 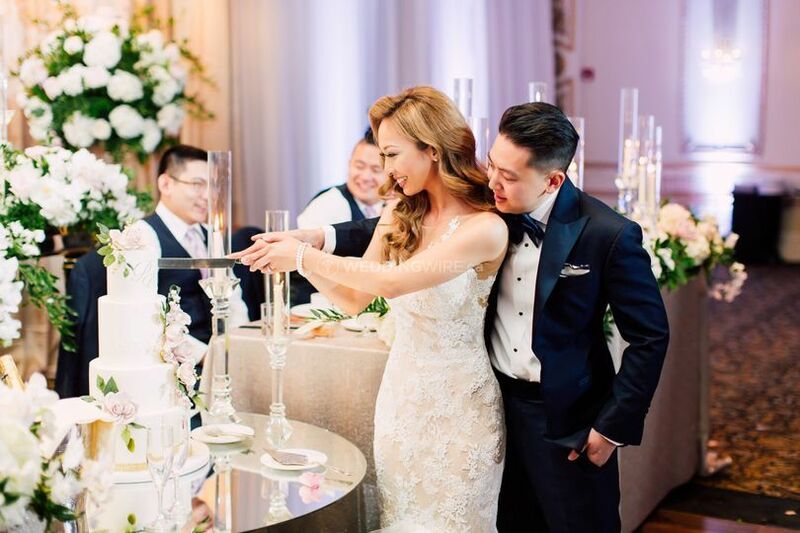 Throughout my wedding planning journey, Ria provided me with guidance and helped me every step of the way to best she could whenever I had stumbled. She treated not only myself, but my mom, dad, and sisters like family. I couldn't be more grateful for her coming into our lives. I recommend Rias Designs in a heartbeat as she is simply the best. Ria, from the bottom of my heart, thank you for designing a stunning incredible look and for all the support you've given to me and my family. Once I finally became a bride to be it was an absolute pleasure to deal with you. My husband often said how you were the bride “de-stresser”. Any design I contemplated, you provided advice and a voice of reason. I thank you thank you for being a truly down to earth person. 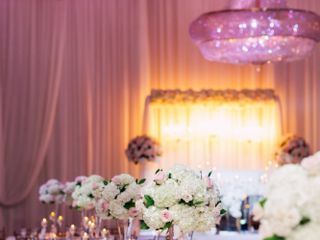 There are very few vendors in the wedding business, that will tell you something is not worth the money, you did this consistently, while maintaining a vision I’ve always dreamed of. You are an ultimate professional, and an individual I wished more people strived to be. A woman who is strong and certainly knows the wedding business! Thank you for making our wedding a dream come true! She is so dedicated to the job that she even came to make sure I was happy with absolutely everything before guests arrived. She’s is just simply amazing! When we finally entered the hall & saw that her beautiful work was exactly what we had envisioned, such a wonderful feeling. She not only listened to what WE wanted and gave us exactly what was in our heads, but she didn't force her opinions on us. She always worked with us while offering very helpful advice, because she could see what direction we were going with all the experience she has. Her husband went above and beyond when helping with the actual set up s well. A great Professional Couple. 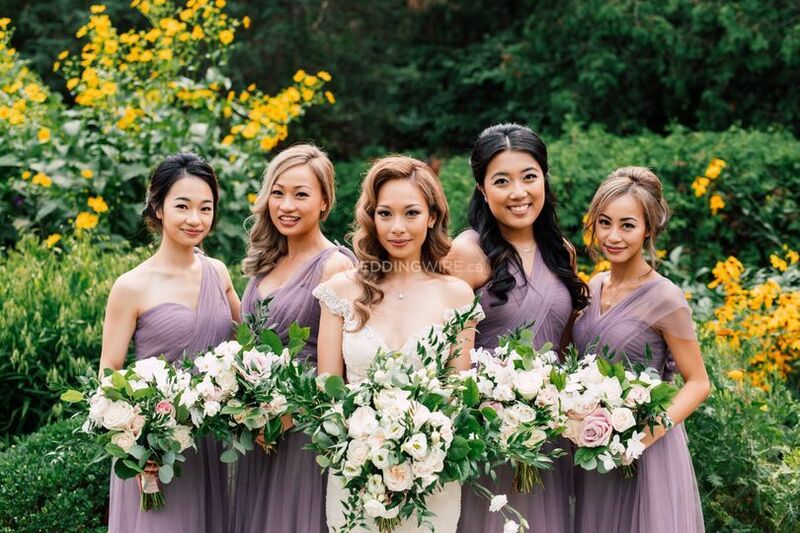 I highly recommend Ria for any function where you want to make a beautiful and lasting impression, she's a wonderful person & it was a true pleasure to have her help create our day!